Become a Ministry of Food partner, Make a difference. We can all play a part in helping our nation be healthier and happier! The Ministry of Food is a partnership model. 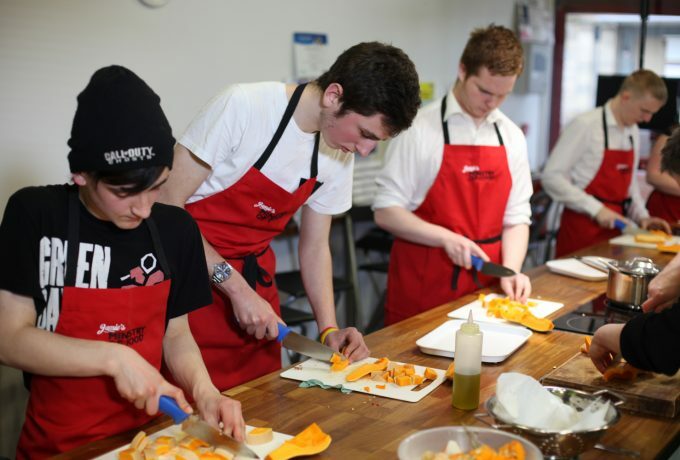 We support organisations with training and resources, and they use these to deliver meaningful change in their communities through cooking lessons and food education. For the past seven years , Zest for Life has been supported by local authorities to deliver measurable changes through health interventions. Thanks to this hard-working charity, thousands of people in Leeds are enjoying the benefits of cooking from scratch . 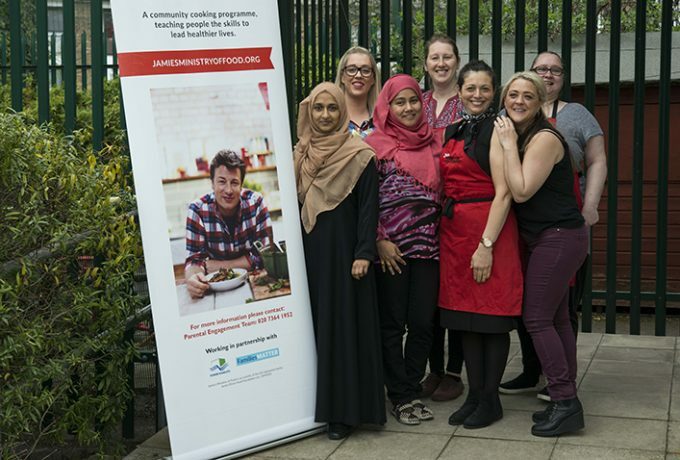 Jamie's Ministry of Food partners with the Premier League , complementing its commitment to health through sport with the delivery of cooking skills to make health changes. The Foundation of Light in Sunderland brings parents and children together to learn key cooking skills. These essential life skills are helping families to enjoy time together in the kitchen, while making delicious, balanced meals from scratch. The Foundation’s coaches and football trainers have inspired hundreds of families to eat more veg and less convenience foods. A group of Rotary clubs in East Anglia has donated money and hours of voluntary time to support young carers. Often working long hours in the home outside of school, young carers can be responsible for feeding a family. 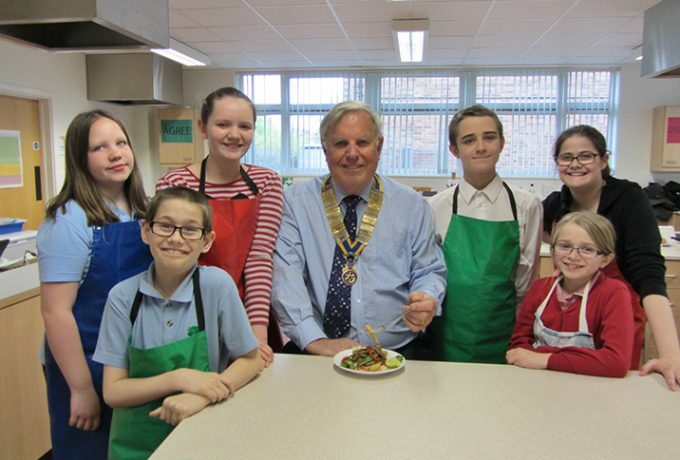 Rotarians, trained by the Ministry of Food, run after-school classes in school kitchens to give these children the skills they need to make simple family favourites and to help them have fun in the kitchen. The Ministry of Food Programme in Bradford has been running for over 8 years. Soraya and her team are committed to delivering fun, engaging cooking classes to the people of Bradford through our partnership with Inn Churches. Throughout the years the team have built a fabulous relationship with local market traders and within their community. 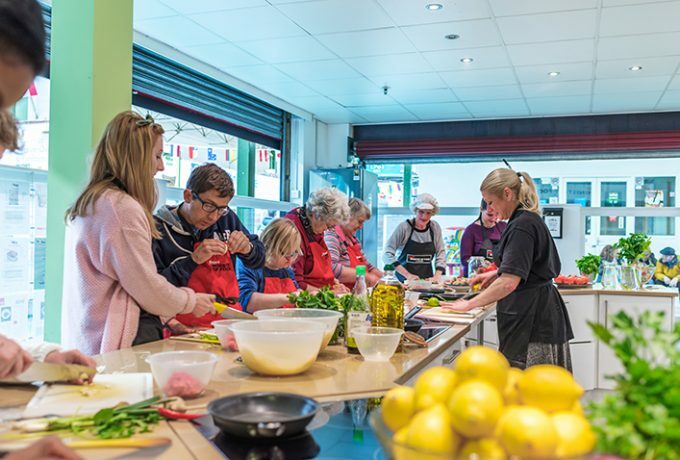 A cornerstone of food education and cooking activities in Bradford, the programme has been transforming how the people of Bradford think about food. A committed group of parent volunteers (supported by the Parent and Family Support Services) has been delivering changes in one of London's most deprived boroughs. Parents in Tower Hamlets have been learning how to help their families adopt healthier habits, in school kitchens and community centres. 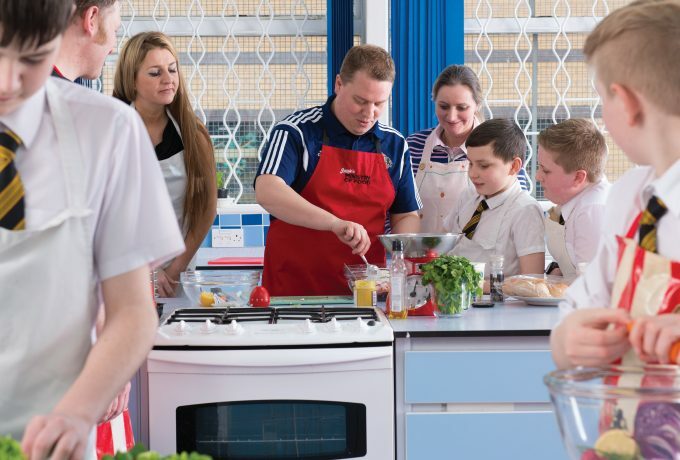 The trained team of parents have been inspiring others with key cooking skills and simple nutritional messages, supported by Jamie's favourite family recipes. The Ministry of Food Training Team learnt a thing or two about dumplings on their trip to Vienna but, more importantly, they were inspired by a group of volunteers working with Caritas and Du. Caritas used the Ministry of Food cooking classes to connect with newly-arrived refugees in Vienna. Using mobile kitchens, in sites around the city, it has inspired people to come together, cook, eat and learn new skills.